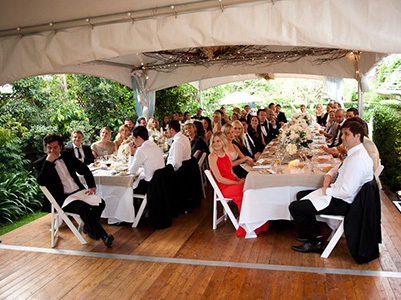 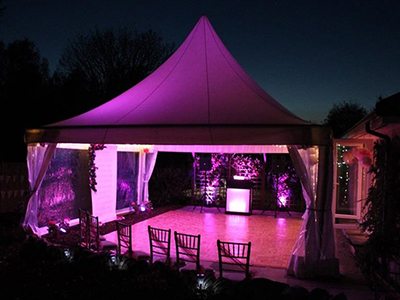 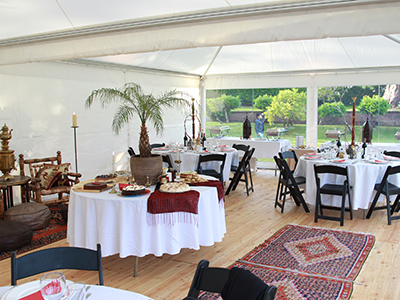 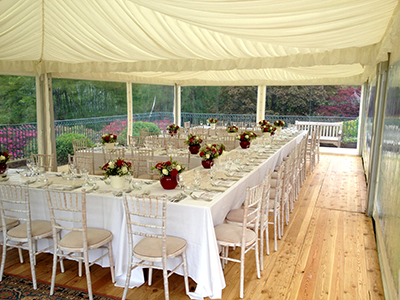 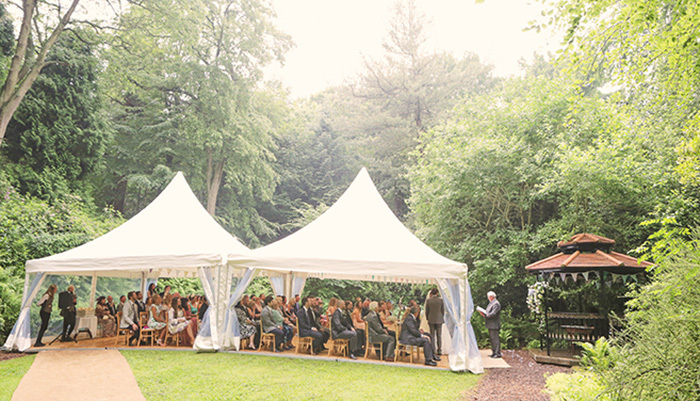 Queensberry provide a range of pagoda marquees are ideal for smaller receptions, wedding ceremonies, garden parties or joined to our larger pole marquees as a reception/bar or chill out area. 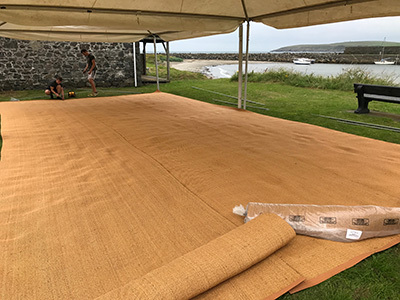 Exceptionally strong and wind load tested to 80kph, We can join multiple pagodas together in a line or “T” or “L” shaped layouts. 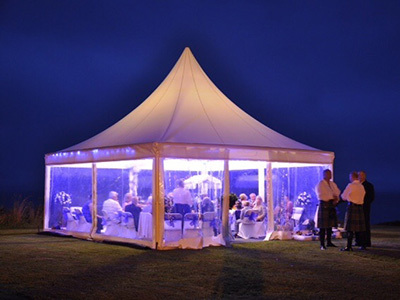 Luxury Pagoda Marquee Hire for parties, events, wedding receptions and as a perfect entrance to one of our larger marquees.